The Russian proverb that ‘all roads lead to Moscow’ can be validated by simply looking around and observing the wealth that has accumulated in the capital city. 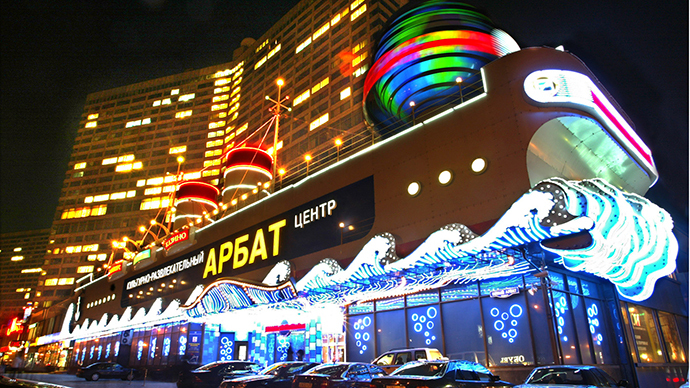 Once more Russian money is reinvested in Russia, foreign investment will follow. A country rich in oil, energy, and precious metals, Russia’s wealth is highly concentrated in the capital city. In 2011, 22 percent of GDP came from Moscow, and 27 percent from the Moscow region, according to RosStat, the official government statistic bureau. According to the World Bank, Russia’s GDP is $1.86 trillion. 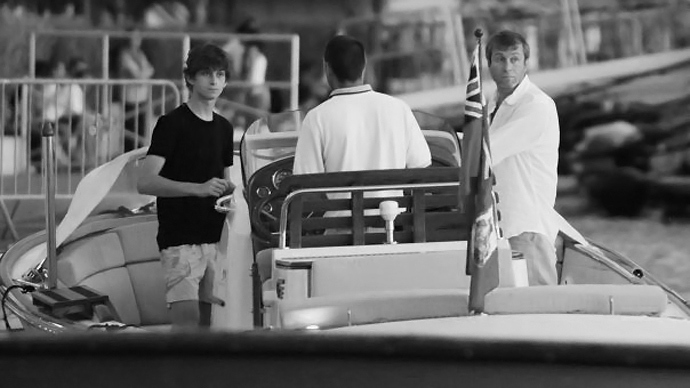 Much attention is paid to Moscow’s billionaires as financial circles watch with intrigue as football clubs, Greek islands, and New York penthouses are bought up by Russia’s new class of wealth. After the collapse of the Soviet Union, state capital found its ways into the hands of a very few powerful oligarchs, and ‘new money’ consolidated in Moscow. Some of that capital has fled, but much has stayed. 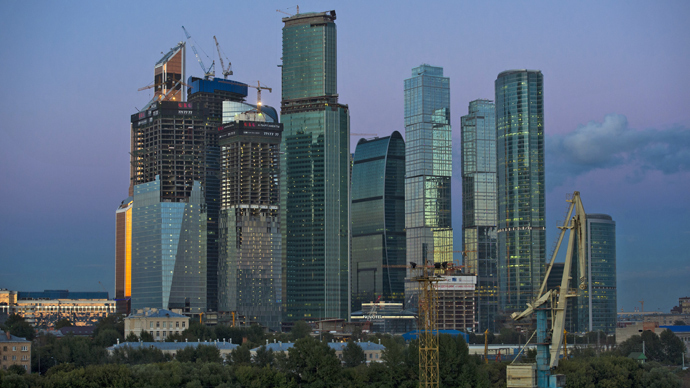 The city is home to 84 billionaires, headquarters the majority of state-owned energy and telecom giants, and the new sparkly skyline of Moscow-City, the not-even-finished skyscraper district is testimony to the Kremlin’s efforts to put Moscow on the map as a financial center. The next step is hedge funds. Hedge funds first arrived in Moscow alongside the explosion of the Russian stock market in 2005-06, but the Western-managed firms, without specific exposure to the local market, didn’t emerge as hedge funds, but rather extra-big mutual funds. 'All roads lead to Moscow' doesn’t seem to explain why Russia’s richest and wealthiest are buying assets abroad, and why several Moscow-based investment funds were forced to pack up their bags because the investment climate wasn’t spurring the profits minority shareholders expected. Free-market capitalism arrived in Russia only two decades ago, which offers a unique investment opportunity because of the nebulous nature of the financial sector. Moscow’s 'first macro hedge fund', Europe Finance Ltd. doesn’t have any European clients, and in fact has no foreign clients at all, but hopes to fill the hedge-fund niche for Russia and CIS markets by offering a 100 percent local approach. CEO and co-founder George Ivanyan explained the Cayman-based EPFC Asset Management Group manages portfolios and provides ‘native’ consulting for start-ups and investors in the Russian market. On its website the company says it represents 25 percent of high-net individuals listed in the Forbes rich list. They are currently partnered with Russia’s largest banks, both national and foreign – Sberbank, VTB, Nomos-Bank, Deutsche Bank, Renaissance Capital and Otkritiye. They are also affiliated with Moscow’s MICEX-RTS Exchange. Long-short equity trading is brokered by UBS and Goldman Sachs, both with Moscow offices. 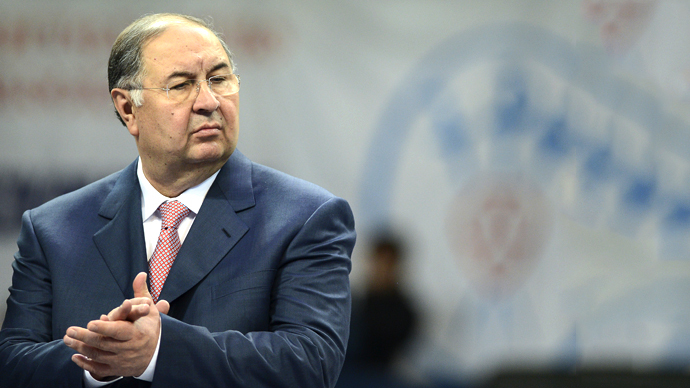 A lot of their business comes from former sales and traders from Troika Dialog, the investment arm of Sberbank, and Renaissance Capital, which is now fully-owned by Brooklyn Nets franchise owner and Russian billionaire Mikhail Prokorov’s ONEXIM investment arm. “As of now, hedge funds are helping each other, it’s a sort of strange open community, a crowdsourcing type paradigm that won’t last long as the industry develops,” George Ivanyan, CEO and co-founder, told RT at an interview at their Moscow office. The ‘alpha’ strategy, or high exposure method, accounts for 10 percent of the firm’s portfolio. Europe Finance said they have seen yields of 1:15 and even 1:20 on gold, interest rates, futures and other market bubbles. Highly speculative, the FOREX market is also a part of their portfolio, and they are closely watching hedging opportunities against the euro, which has unexpectedly jumped this year. Currency swaps in rubles and Russian OFZ government bonds, or carry trades, are proving more attractive for Western hedge funds because of the considerable difference in US and Russian rates, which are about 600 basis points, or 6 percent. “Quite often we take position in Russian rates or FX (RUBUSD, RUBEUR) through options and currency swaps. We consider options on MICEX and RTS as a possible hedge for our exposure to Russia,” Ararat Mkrtchyan, head of Investor Relations at Europe Finance, said at an interview at the company’s office in Moscow. Foreign hedge funds have little exposure to Russian rates, as everything is in USD. “There are plenty other advantages in Moscow investment, besides the weather,” Denis Fonov, vice president of the group, said. His partners joke that Fonov is probably on first-name terms with every Russian oligarch, but more importantly, they probably know him, too. New York, London, Singapore, Zurich, and Dubai are capital and asset management destinations for Russia’s billionaire “offshore oligarchs.” Many are overpaying for the identical advice they can get in Moscow. But not all have the capital to enter the reputable US or London hedge fund scene, where an entry ticket can cost upward of $20 million. Funds in Moscow will take on clients with portfolios worth $5-10 million. A new class of oligarchs and mini-garchs is emerging, and Russia could be home to 1.2 million dollar millionaires by 2020, according to a Deloitte estimate. Not all of Russia’s millionaires will want to send their money to Switzerland or the Caymans to be managed, which is why there will be an increasing demand for locally-based money management tools. The results are identical, but the service fees are much more competitive. Another stumbling block for high-net-worth Russians tucking their money away abroad: they can get referred to the wrong hedge fund. Many advisors have fee-sharing agreements, which result conflict of interest. “This happens quite often,” said Mkrtchyan, noting many Russians have lost big in real estate because of property right preservation cases. Europe Finance is providing a niche market for Russia’s ultra-rich who have 'failed' outside of Russia – in real estate, metals, or paying too much for expensive hedge fund advice. 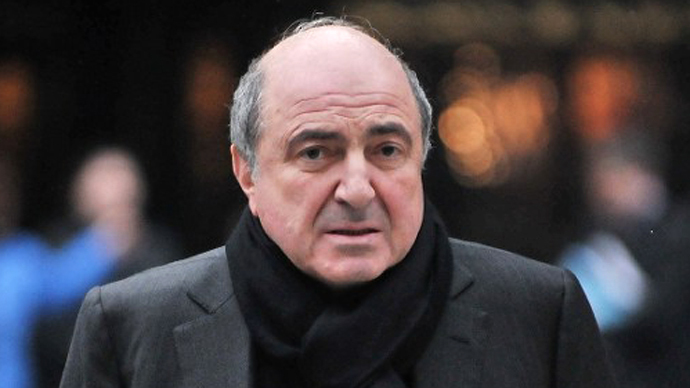 “We have done due diligence for several Russian investors and found out that most of their Swiss advisors provide quite simple expertise for commission much higher than at well-known hedge funds,” Mkrtchyan said. Overlooking the Moscow river, the office space is a converted luxury apartment, fitting as the group advises hedge funds on how to reduce operational costs. As the fund matures, they have plans to move to expand to London- they already have unnamed clients lined up in China, Hong Kong, and Georgia (not the state). Another saying, more popular in the finance sphere, is that “Russia is very predictable in unpredictable events,” that is, the Moscow Exchange is highly exposed to small market stirs and political shifts. Ten years ago today, Mikhail Khodorkovsky was arrested. Indices fell 10 percent and continued a four-week drain of 20 percent. When opposition leader Aleksey Navalny was handed down a 5-year prison sentence on July 18 (which was reversed the next day), indices hit monthly lows. Equity and asset trading are still highly volatile, which can leave investors grinning stupidly with near 100 percent gains, or conversely, out hundreds of millions in a day. The infancy stage also provides great instability. The market cap of the Moscow Exchange is shy of $1 trillion, a small fraction compared to New York’s $13.4 trillion, Tokyo’s $3.8 trillion, London’s $3.6 trillion, or even Bombay, India’s $1.6 trillion. “To be predictable in unpredictable situations is a key quality necessary for the asset management business," Vladimir Potapov, CEO at VTB Capital Investment Management, told RT by email. VTB Capital Investment Management, a leading Moscow-based investment group, manages close to $190 billion in assets, and already operates internationally in London, New York, Dubai, and Hong Kong. “If we talk in terms of the premium per unit of risk, Russian stocks and fixed-income instruments look good relative to both developed and emerging markets,” Potapov said by email. President Vladimir Putin hopes to pump some life into the Moscow Exchange via the privatization of state-owned assets, which he says will not be dually listed in London. Moscow may not yet be a financial heavyweight, and when it is, there will be more than one hedge fund.